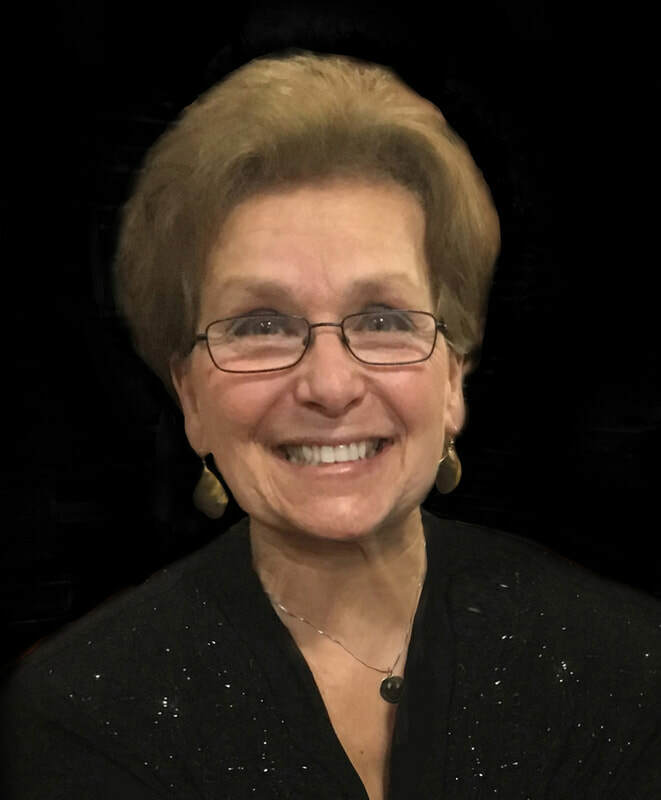 Connecticut teacher and author LYNN ROSENBLATT devoted twenty-five years to teaching energetic and spontaneous first and second grade children. She empowered students through a global teaching approach and welcomed student creativity and spontaneity. Her websites LynnRosenblattBooks and MonarchButterflyUSA continue that work. 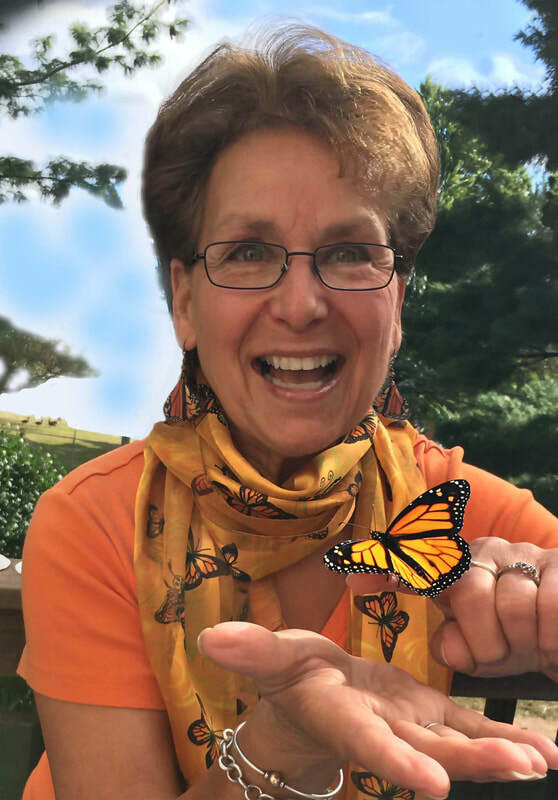 Today we can find Lynn being a social butterfly in the popular facebook group The Beautiful Monarch. I am lucky enough to have Lynn as a member of my own facebook group Grow Milkweed Plants. Kids are the inspiration. The creative eye of children allows them to see the magic. MONARCH MAGIC! includes the inspiration and photographs of the children who worked with monarchs in the classroom. 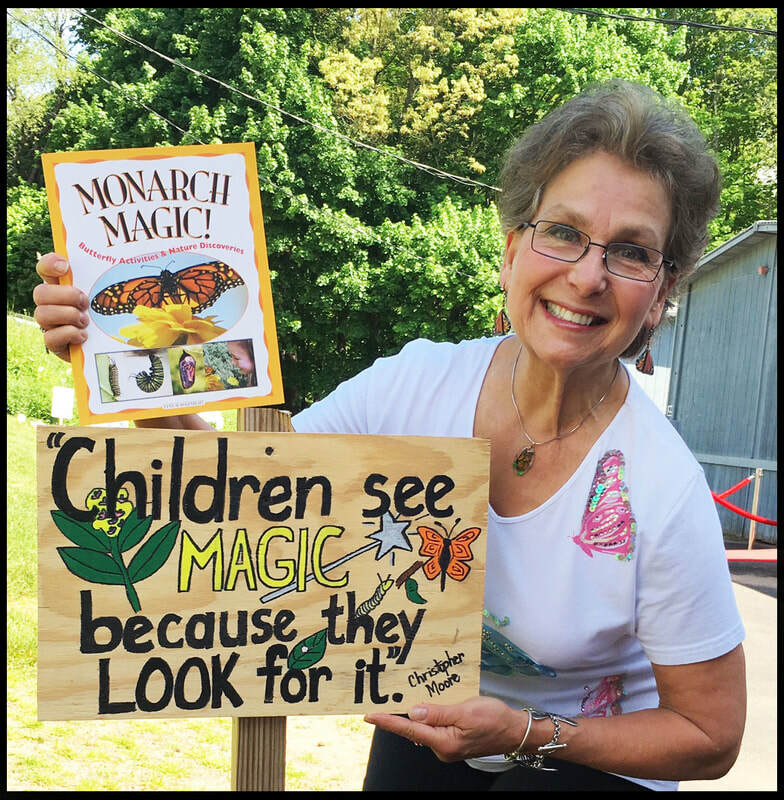 If you are interested in educating and inspiring children then I strongly encourage you pick up a copy of MONARCH MAGIC! and Monarch Buddies. While teaching summer school in the mid 1990's a little girl gave Lynn a chrysalis. Little did Lynn know that for the next twenty years she would continue to be captivated by MONARCH MAGIC. At that time students didn't study monarchs like students do today. Butterflies like the monarch were simply abundant. Perhaps they were taken for granted? Observing the final stage of metamorphosis can have a strong influence on a persons perception of the monarch butterfly caterpillar. One idea to get someone excited about the preservation milkweed is really simple. Give them a monarch butterfly chrysalis a few days before the monarch butterfly begins to eclose. When the butterfly spreads its wings, they will be hooked! 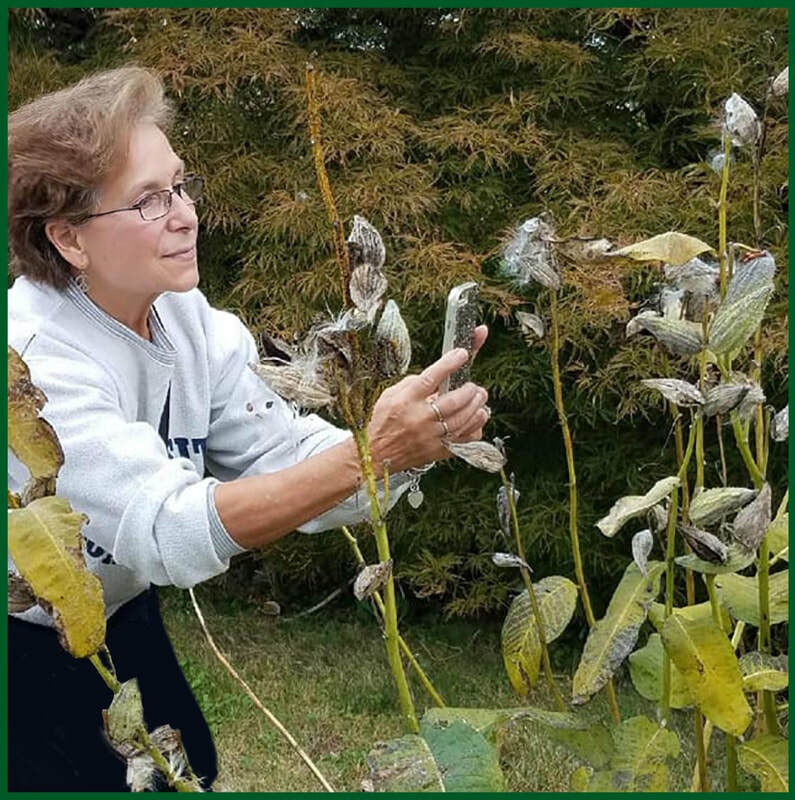 Lynn shares a story about a field that was a local hot-spot for milkweed plants and attracted many monarch butterflies. The field was beautiful. 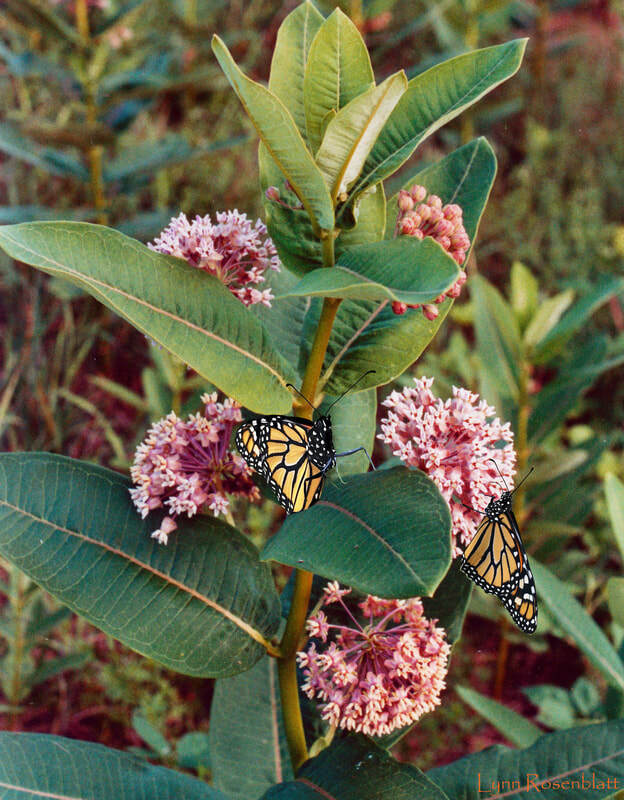 The abundant milkweed was the subject of hundreds of photographs over the years. After being away for less then a week, Lynn returned. To her dismay there was a giant yellow bulldozer in the middle of the field. The tractor had cleared the milkweed from the field and along with it the monarchs were gone. A condominium was built on that milkweed field. The milkweed provided everything needed for the monarch during it's migration. The void left by the development took away the nourishment that the monarch butterfly depends on. Imaging going on a road trip and all the gas stations, hotels and restaurants had disappeared. The highway would be a lonely place and you wouldn't get very far. Connecticut has ten native milkweed species. If you are interested in finding out how many milkweed species are native in your state you can use the Milkweed Map to Locate Native Milkweed. Lynn grows and plants a few beautiful kinds of milkweed. Most milkweeds are perennial flowers that will grow back to provide habitat each summer. Plant it once and enjoy them for decades. POM~POM Paradise perfectly describes the milkweed field in the summer months when the milkweed plants are in full bloom; showing off their POM~POMs! The bright milkweed umbels (flowers) are like a group of POM~POMs. For years I have been searching for a description of the habitat that is the nursery where monarchs grow. Fireworks seem pretty close. It's often around the 4th of July that the milkweed blooms seem to display their color explosions. POM~POM Paradise is my new favorite saying for whenever I am surrounded by milkweed in bloom. Monarchs need MILKWEED ACROSS AMERICA and so do we! Tony has an incredible story made possible by a POM~POM Paradise. 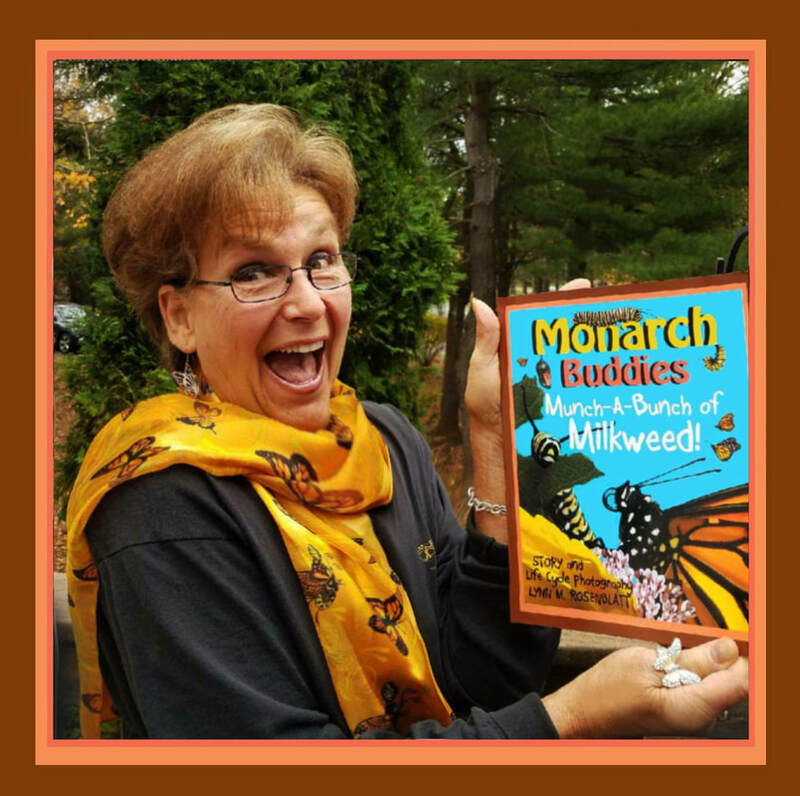 20:00 ​Monarch Buddies: Munch-A-Bunch of Milkweed! Twenty years after Lynn published MONARCH MAGIC! Things came full circle and the beautifully crafted story Monarch Buddies: Munch-A-Bunch of Milkweed! has been published. Follow along as MAX and MAISY and their monarch mentor, Montgomery take the reader through an engaging tale of friendship and discovery. 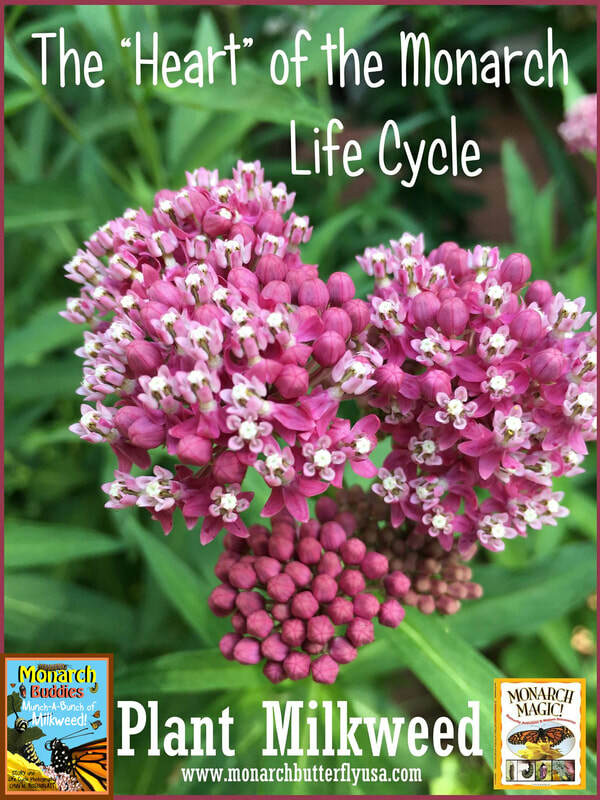 Their story shares their adventures as they munch and crunch milkweed, experience complete metamorphosis, life cycle changes and embark on a quest for survival. 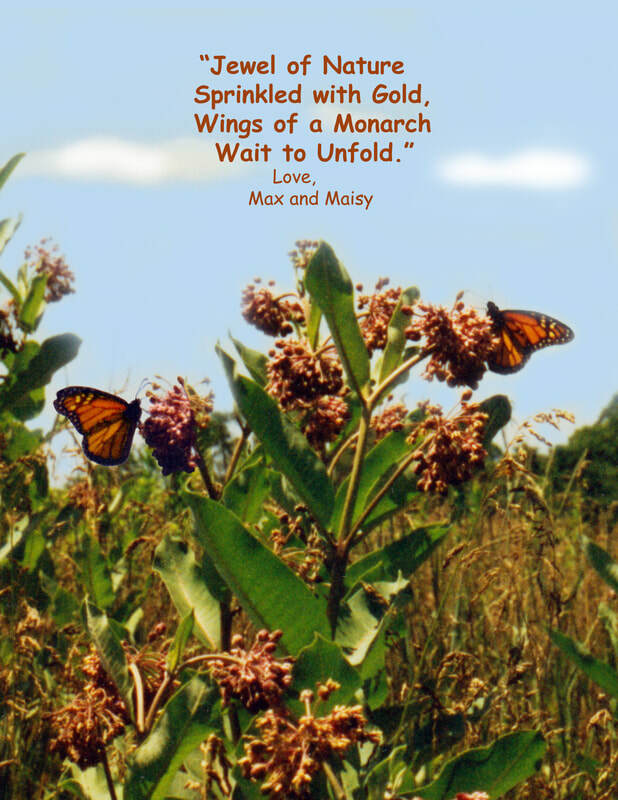 With hope in their hearts for a safe tomorrow, they will always remember their joyful days in the milkweed fields, and forever in their hearts they will always be…MONARCH BUDDIES! Earth Day is April 22, 2018. Lynn likes to plant milkweed as an Earth Day activity. "Do something special to create something for the future. Something to save what we have and something for the future." The musical score ~ ONE BIG WORLD For ALL of US to Share! ~ is a poignant plea for World Peace and Environmental Habitat Protection for the Monarch Butterfly. Contact Lynn Rosenblatt directly at USAMonarch24@gmail.com to share your favorite photo of monarch butterflies or milkweed. Look for exciting changes at http://monarchbutterflyusa.com in the coming months! It was an absolute privilege to speak with Lynn! 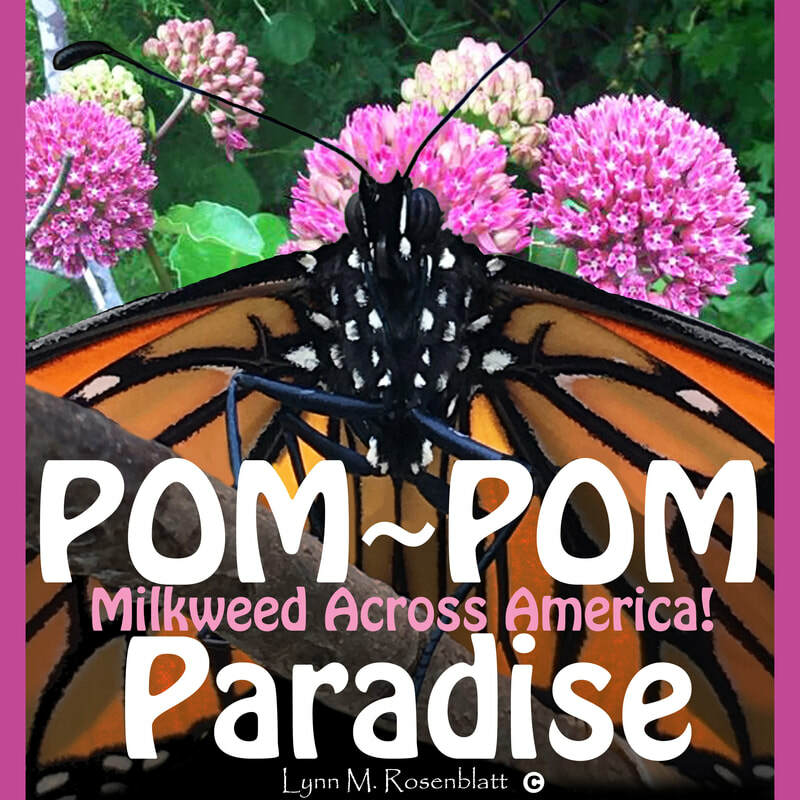 Now is the time to plant the milkweed seed that becomes the POM~POM Paradise of tomorrow. In addition to milkweed being the sole food source of the monarch butterfly caterpillar (Max and Maisy) it is also a flower that provides very high value as a nectar source for bees and other pollinators.